One of the annoying things about using social media to help a business interact with customers is the repetition. Customers often have the same questions about things related to a business or popular products. Even if the answer is listed on a Frequently Asked Questions page, a lot of customers will still go to the businesses social media to get a personal response. Facebook is testing a feature that will used saved auto replies to help businesses with this customer service of social media marketing. The feature is called “Saved Replies,” and has the potential to save marketers time while still giving personal responses to a large number of similar questions from customers on Facebook. Saved replies are a feature with Facebook messaging interface for Business Pages. Right now, it’s still in the testing phase and only available to a small group of Pages. Users are presented with sample responses that they can use or customize. For example, business owners can create messages for standard “How can I help you?” replies or a good old fashioned away message. Users can also create new replies and save them for later. To show how robust the system is, there’s even a way to search within the saved replies, so marketers can create as many as they need.. The responses are set up in a form letter style. So the saved reply can insert information like the customer’s name or a relevant link with the answer to the question. Users will have the option to further modify the response before sending it. The feature was first spotted by MyTechSkool which posted some pictures of the dialog boxes used in the Saved Replies setup. 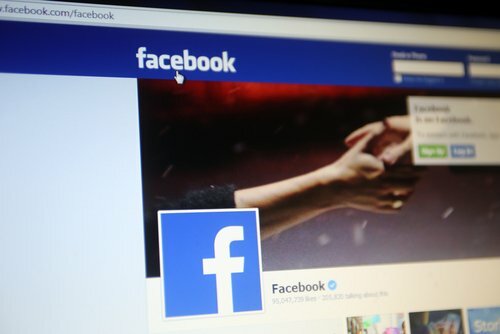 MarketingLand, who had access to the backend of one account with the test feature and posted images of how the product will work within the Facebook environment. Though the feature is only available to a few test pages at present, Facebook plans to roll the feature out to other pages in the near future. For businesses that have others managing their social media page, saved replies can help streamline responses for common inquiries. The replies to standard questions can already be set up for users so they can quickly reply without having to get the message approved. Similarly, if a business owner gives a reply that they want to have the team use later, they can save it to the Saved Replies list. Saved Replies can be a boon for small businesses who can’t take advantage of some of the larger third party solutions like Zendesk and Freshdesk that offered message integration before Facebook embarked on this new path. Business owners should be on the lookout for the official roll out of the Saved Replies feature, which as was said before, will be ready in a few weeks. Being able to quickly provide personal responses to common questions can help marketers be more engaged with their Facebook audiences. For more news about Facebook marketing, read this article on Facebook’s experiment with professional restaurant reviews for business pages.